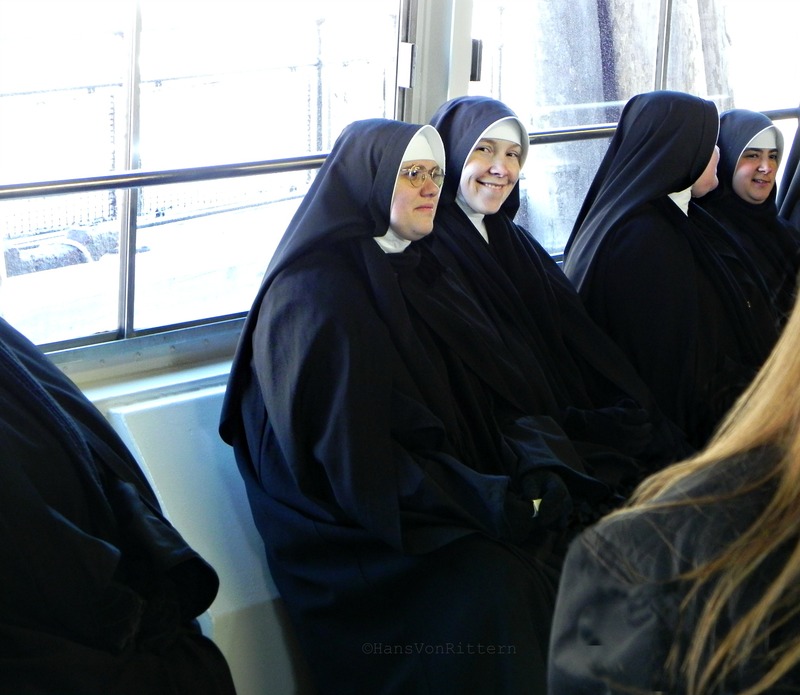 Photo of the day: NUNS ON STATEN ISLAND FERRY – a few of my favorite things! This entry was posted on December 7, 2013 by newyorkcityinthewitofaneye. It was filed under DAILY PHOTOS WITH STORIES OF NEW YORK CITY and was tagged with Hans Von Rittern, How do you solve a problem like Maria, Manhattan, My Favorite things lyrics, New York City, New York photo, Nuns, nuns on Staten Island Ferry, Photo of the day, photography, Raindrops on roses and whiskers on kittens, smiling nun, Staten Island, Staten Island Ferry, Statue of Liberty, The Sound of Music.